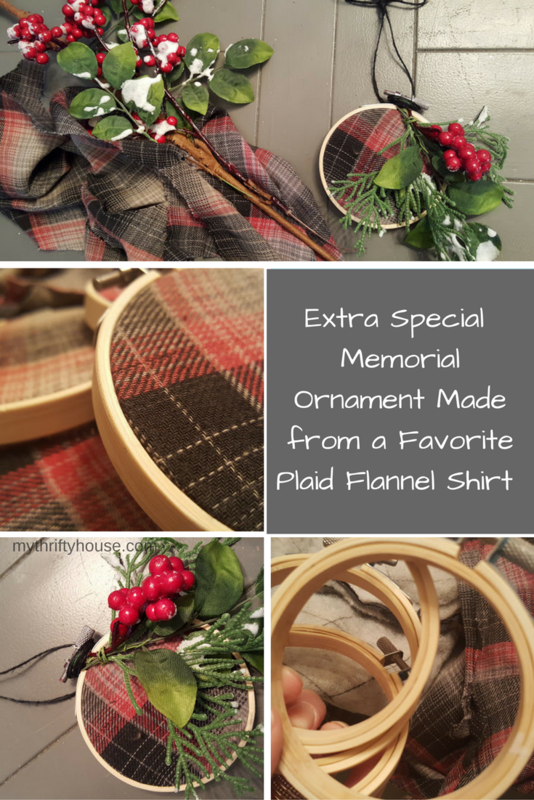 Today the Farmhouse Hens are focusing on Christmas Ornaments and I am sharing my embroidery hoop plaid flannel ornaments made from my son’s favorite flannel shirt. 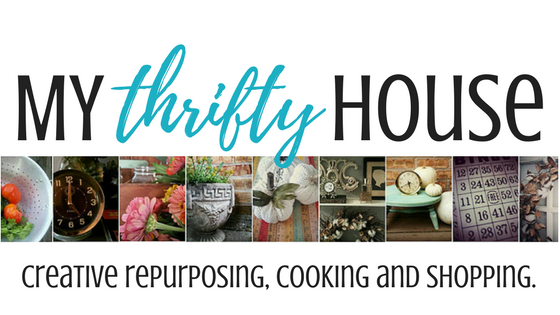 Make sure you scroll all the way to the bottom of this post and click around and visit my talented friends to be inspired by their fabulous ornaments. As some of you may know, my 23 year old son unexpectedly passed away in March 2015. I am always looking for ways to incorporate him and his memory into our daily life as well as special occasions when his presence is missed even more than most days. 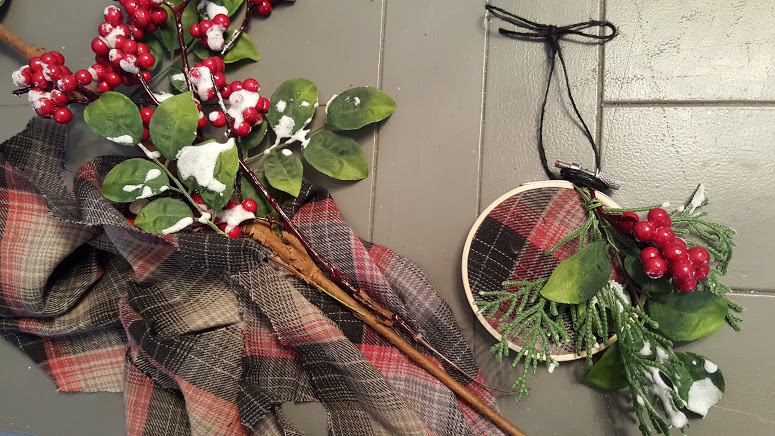 I made these ornaments from my son’s favorite plaid flannel shirt. It would be interesting to use something like applique quilt patterns along with his shirt to make something amazing. It’s nice to know that friends and family will appreciate this gift and they too will think of a special memory with Cody each year when they put the ornament on their tree. 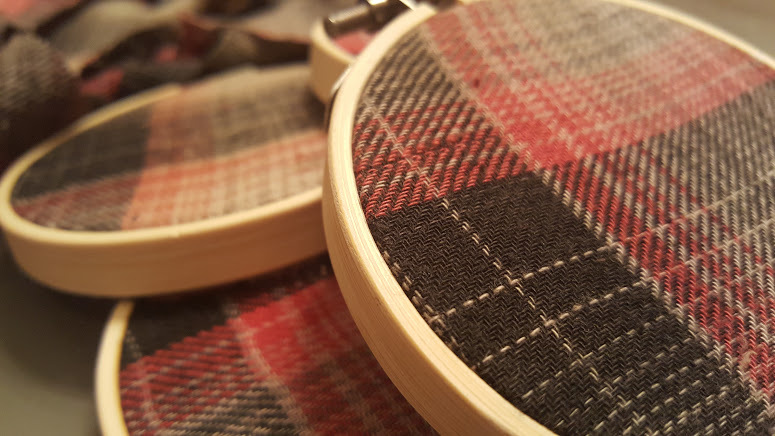 So now that we have the emotional part of this post out of the way, let me tell you that this project was so easy and you aren’t limited to using a plaid flannel shirt to fill the embroidery hoop. 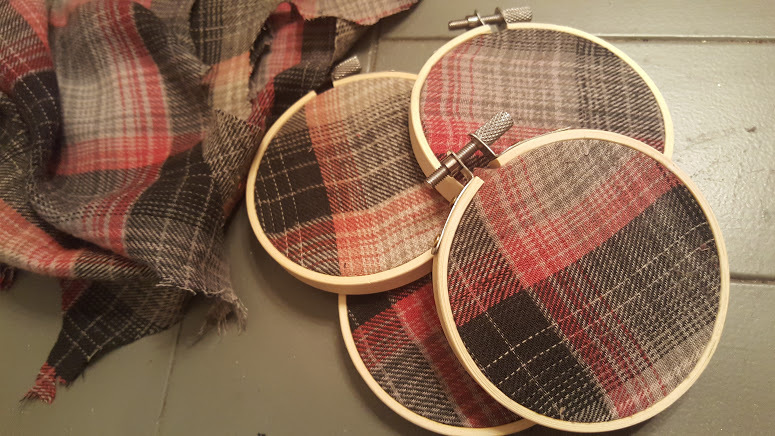 Even though I like the rustic look of the plaid cloth napkins, remnants from a wedding dress or communion dress, Grandpa’s favorite shirt or a baby blanket would all be suitable to use. There are so many options and it’s up to you. 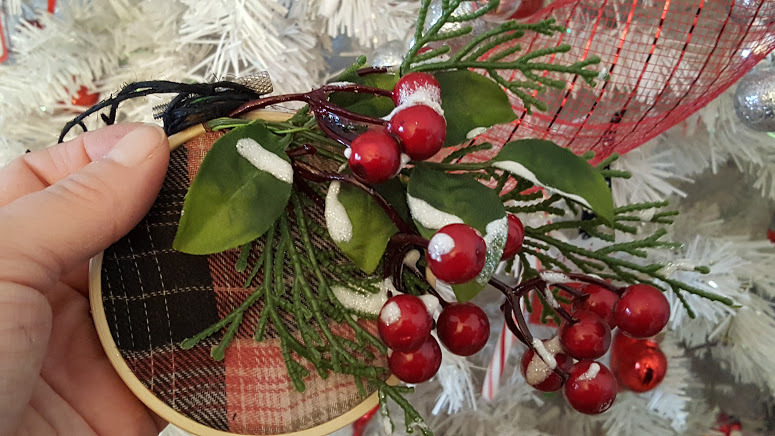 For my plaid flannel ornaments, I used a 3 inch round embroidery hoop but there are different shapes and size of hoops to choose from too. I decorated my ornament with some Christmas greenery (60% off at Michael’s) and I used some black twine I had in my craft stash to create the hanger. 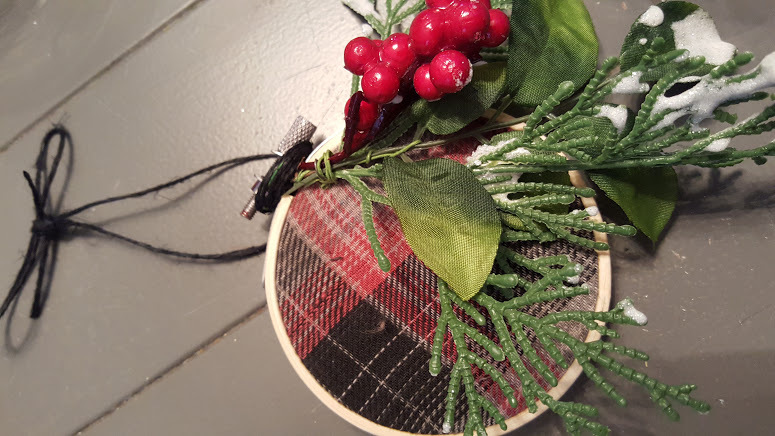 And there you have it, simple plaid flannel ornament made from an extra special shirt remnant. I hope that this project inspires you to find a special way to honor your loved ones that have passed. wish you all a Happy and Blessed Merry Christmas and New Years! This entry was posted in Christmas and tagged crafts. 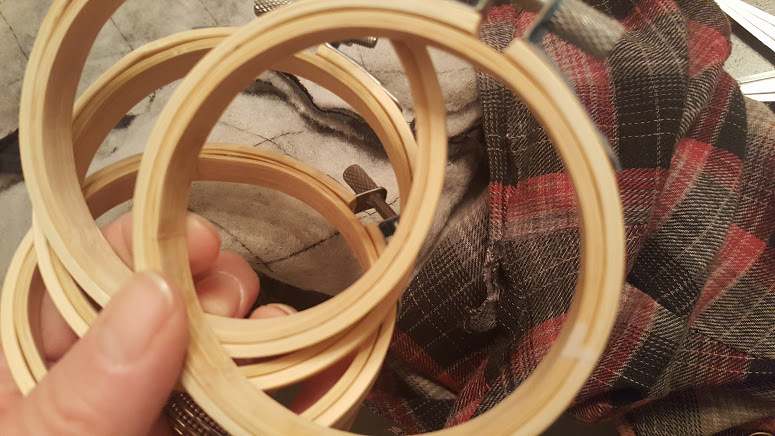 I am just loving these hoop crafts. I usually find the bigger ones at the thrift store but I want some of the little ones now!! I love embroidery hoop projects. This is so special for those who knew and love Cody. This is such a beautiful idea for a family memento. Its a really a beautiful idea for an ornament. Very well done Denise I am sure this idea will make a big different to lots of Christmas trees. Hugs for sharing it.. This craft is beautiful. I love how you keep his memory alive and include him. You’re incredibly strong. Thanks for sharing this! Thank you so much Stephanie.